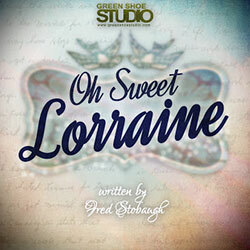 Green Shoe Studio in Peoria, Illinois held a singer-songwriter contest over the summer asking people to upload their best original song to YouTube. They received an unexpected and unassuming entry in the form of a large manila envelop mailed to their office containing a letter and a handwritten page of lyrics inside. The entry was from 96-year-old Fred Stobaugh with a song dedicated to his lifelong love and wife of 75 years, Lorraine, who had recently passed away. You can buy Fred’s song on iTunes and Google Play.